Whether choosing a traditional burial or cremation, we will help you create a perfect memorial that will reflect the individuality of your loved one. 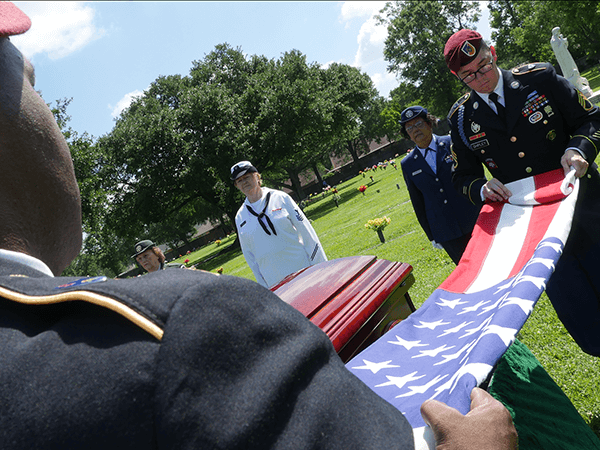 A funeral represents the opportunity to reflect on the meaning of a life that has been lived, and to expand on the meaning of that life with family and friends. Resthaven Gardens of Memory & Funeral Home maintains a tradition of personal attention to our families' needs and individual desires. The funeral, or memorial service, has long been a ritual in our culture. When a loved one passes away, we immediately start making funeral plans, often without even thinking; holding a memorial is simply what people do. The problem with this familiarity is that it may sometimes prevent us from stopping to think about what the memorial service is for. Like any ritual, the funeral service is important to maintaining a healthy culture. Funerals, like weddings and holidays, serve as landmarks on our journey, both as people and as individuals. It allows us, as people, to mark and commemorate the ending of a life and provides hope for survivors as they look to the future. One of the foremost ways in which a funeral service benefits us is that it helps mourners recognize that their loss is real. A body may be displayed, a coffin or urn shown, or words read to solidify for everyone in attendance what has happened. Death, loss, feelings of sorrow and grief. The funeral is an act of acknowledgment, then, but also an act of redemption. Through a funeral, we can work to transcend the bleakness of our loss and make it into something positive or find closure. The funeral itself reminds us of the real, physical need to support one another, to band together during times of sadness. And as we celebrate the life of our lost loved one, we are inundated with happy memories of life lived together. Ultimately, the memorial service is for the living - not for the departed. It gives us permission to feel deeply about our loss, and to give our loss a name, while also bidding us to look around at the good. A Memorial Service celebrates a life lived, and can take many forms. Whatever your wishes, our staff will be pleased to give you full details about our products and services, and help you make your decision. Every funeral service should be a memorable, warm reflection of the person who has died. All of our services can be personalized to meet your family's needs or wishes. Every life is unique and we make sure each Memorial Service reflects that. Do I need a Memorial Service? Experts agree that the benefits of a service are for those who are left behind after a death. A "closure" of sorts must occur to help survivors adjust to their loss and recognize that a death has occurred. A memorial service provides the opportunity for friends and family to celebrate the life that was lived and allow the healing process to begin. Why do we need funerals? It's important to recognize that funerals and memorial ceremonies are for the living ... for those who are affected by the loss of a loved one. A funeral is similar to other ceremonies in our lives. Like a graduation ceremony, a wedding, a baptism, and a bar mitzvah, a funeral is a rite of passage by which we recognize an important event that distinguishes our lives. The funeral declares that a death has occurred. It celebrates the life that has been lived, and offers family and friends the opportunity to pay tribute to their loved one. Funeral costs vary depending on the funeral home and type of service selected. There are two types of costs associated with a funeral: (1) services provided by the funeral home and (2) merchandise such as a casket or urn. Contact Resthaven Gardens of Memory & Funeral Home for a copy of our General Price List. What does it mean to personalize a funeral? Every family is different, and not everyone wants the same type of funeral. Funeral practices are influenced by religious and cultural traditions, costs and personal preferences. 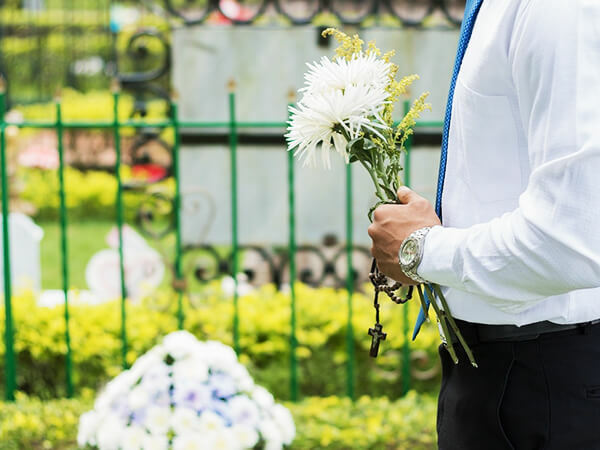 These factors help determine whether the funeral will be elaborate or simple, public or private, religious or secular, and where it will be held. They also influence whether the body will be present at the funeral, if there will be a viewing or visitation, and if so whether the casket will be opened or closed. We understand the value of our services and the importance of personalization, which is why we offer a wide choice of personalization services to help make each service as unique as possible. We of course welcome any suggestions, questions, or requests that you may have. 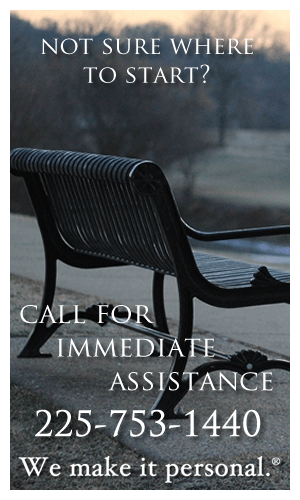 Please feel free to contact us directly at 225-753-1440 or use our convenient online request form for additional information. I just want to thank you for the wonderful care you took preparing my mother's body for viewing. You did a beautiful job. I also want to thank those who were the pallbearers and the cemetery staff who was so helpful especially Carla. Thanks for everything you did. We strive for service excellence. Click Here to leave your online review. It is never to early to start planning for yours or your loved one's funeral.